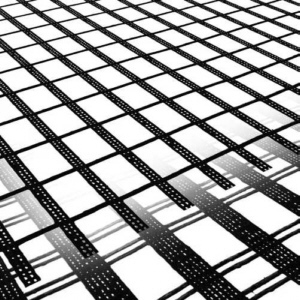 STRATAGRID is geogrid reinforcement for soil. These high performance geogrids are constructed of high molecular weight and high tenacity polyester yarns utilizing a complex knitting process and polymer coating to provide superior engineering properties. Yarns are precision knitted into a dimensionally stable, uniform network of apertures providing significant tensile reinforcement capacity. STRATAGRID is engineered to be mechanically and chemically durable, in both the harsh construction installation phase and in aggressive soil environments (pH range from 3-9). Click here for Product Data Sheet.